Zinc has a relatively good resistance against corrosion, and the metal has therefore been widely used as a surface protecting agent, e.g. in alloys with aluminium and as a coating for steel (galvanizing) on buildings and infrastructure elements. Nonetheless, corrosion of zinc-containing materials, exposed to urban atmosphere with its various air pollutants, is an important phenomenon, not least because of the potential environmental impact that the released metal could cause (see e.g. IPCS, 2001). Depending on the prevailing environmental conditions, a certain fraction of the corrosion products formed will dissolve and be flushed from the surface of, e.g. a roof during a rain event, while another fraction will re-precipitate to the adhering corrosion product layer (Karlen et al., 2001). During urban atmospheric exposure, zinc forms relatively porous and voluminous patina layers, which are primarily composed of basic zinc carbonate, Zn5(CO3)2(OH)6, and basic zinc sulphates, Zn4SO4(OH)6 x nH2O (n = 1-5) (Odnevall and Leygraf, 1995). In the case of zinc corrosion, much more than in the case of copper corrosion, one atmospheric pollutant, SO2, is predominant in governing the corrosion attack. It has been repeatedly demonstrated that there is a strong correlation between the atmospheric SO2 concentration and the zinc corrosion rate. Thus, the substantial reduction in SO2 concentration in urban atmosphere over the last decades has been followed by a sharp drop in the zinc corrosion rate. However, not only the rate of zinc corrosion, but also the zinc runoff rate has been significantly reduced as a result of declining levels of atmospheric pollutants (Odnevall Wallinder et al., 1998). As can be seen from these relationships, the runoff rate is considerably lower than the corrosion rate; runoff rates are 40-65% of the corrosion rates for SO2 levels <50 ^g/m3. Systematic studies of the runoff rate from zinc-containing materials during atmospheric exposure, where the variation in runoff rate as a function of various environmental conditions has been examined in detail, were carried out by the KTH research team, the results of which have been reported by e.g. He (2000; 2002) and He et al. (2001; 2002). It was shown that readily soluble and poorly adhesive corrosion products were released from the corrosion- product layer during the first flush event. This resulted in an initially high concentration of zinc in the runoff water, followed by a decreased, and after some time, almost constant metal concentration. The magnitude of the first flush and, hence, the quantity of released metal depends on the environmental conditions prior to the rain episode, characterized by dry deposition of corrosive agents and by the length of dry periods, as well as on the quantity and intensity of the following rainfall. The amount of zinc in the runoff water increases with decreasing pH, during the first flush period as well as during the steady state period of a rain episode (He, 2000). Yearly runoff rates for zinc as compiled by Karlen et al. (2001) ranged between 0.07 and 3.5 g/m2, y, based on 1-year exposures of panels in the Stockholm urban atmosphere (SO2 concentrations about 3 ^g/m3 and an annual rain quantity of about 540 mm). The differences in runoff rates are related to the presence of various barriers, such as different commercial coatings (Table 4.1). Such coatings could reduce the amount of zinc in the runoff by a factor between 2 and 50, compared to a non-coated surface. The presence of barriers also resulted in different pH (range: 4.5 - 7) of the collected runoff water, as a result of varying buffering capacity of the dissolved zinc corrosion products. The blank surface (plexiglas) was used to measure the contribution of atmospheric deposition of zinc; this contribution was small, being less than 0.02 g/m2, y. Continued experiments in Stockholm with exposure periods for up to four years have provided long-term results showing that the accumulated zinc runoff quantity increased linearly with time (R2 = 0.99). 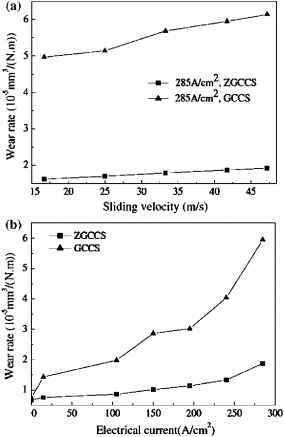 The slope of the curves corresponded to an average runoff rate of 3.1 g/m2, y and 3.2 g/m2, y for new and 40 year old zinc sheets, respectively (He et al., 2002). When the runoff rates from zinc panels of three different ages (unaged, 15 and 39 years old) were compared during field exposure for 48 weeks, it was demonstrated that there was no significant age effect in runoff rate, all three types of panels gave about 3.1 g/m2 (He et al., 2001). Calculations of the the total amount of zinc being released from unpainted galvanized steel on buildings and other constructions in Stockholm were made by Sorme et al. (2001b). They used figures published by Tolstoy et al. (1989) on the average surface of roofing and similar materials on buildings (1 m2 / inhabitant) and on the average surface of other galvanized constructions, such as barriers, fences, poles etc. (2.33 m2 / inhabitant) and based the calculation on the then actual figure: 711,000 inhabitants in Stockholm, as well as on the average zinc runoff rate of 3 g/m2, y. This calculation gives a total annual zinc release from buildings and other constructions of 2.1 t + 5.0 t, i.e. a sum of 7.1 tonnes of zinc leaving buildings and infrastructure in Stockholm. The present estimate of the quantity of zinc being released from unpainted galvanized material surfaces in Greater Stockholm is well below earlier estimates. For example, Frise (1994) arrived at a range of 20-25 tonnes of zinc released per year in the early 1990s. A more detailed calculation, carried out by Landner and Lindestrom (1998) came to a figure of 13.7 tonnes per year, a level which was about twice the now presented figure. A time-dependent downward trend in zinc corrosion and zinc runoff in Stockholm is plausible, since atmospheric SO2 concentrations have decreased drastically from the mid-1980s, and SO2 is a strong determinant of the corrosion/runoff rate. In analogy with the investigations of the speciation and bioavailability of copper in the runoff water, the water-ligand computer model MINTEQA2 was applied to the zinc speciation question, as was the zinc-specific biosensor with bacterial strains of Alcaligenes eutrophus. The modelling approach predicted that 95-99.9% of all zinc in the runoff water at the edge of the roof would be present as free, hydrated Zn(II) ions. Depending on the pH and sulphate content, Zn(OH)+ and ZnSO4 (aq) could also be present. The zinc-specific biosensor likewise indicated that all zinc being released from the various zinc-based materials was bioavailable. In tests for growth inhibition with green algae, it was found that the ecotoxicity was predominantly goverened by zinc, i.e. the zinc in the runoff water was to a large extent bioavailable (Karlen et al., 2001). The possible further fate of the runoff zinc was studied in a series of soil column experiments, in which artificial runoff water with 5 mg Zn/l added was allowed to pass through a well characterized soil from Belgium, and the soil retention capacity for zinc was followed for up to 3.5 years (Bertling et al., 2002c). The investigation was part of a large European industrial collaboration project aiming at increasing the knowledge on runoff rates, bioavailability and ecotoxicity of metals dispersed from zinc-based construction materials used in society. When the artificial runoff water containing total zinc at a concentration of 5,000 ^g/l had percolated through a soil core (55 g dry weight), only 60 ^g Zn/l (1.2%) was left, and the zinc concentration of the percolate also included the naturally leached zinc from the soil. Thus, the zinc retention capacity of the soil, which is characterized as a low metal-retention soil, was about 99% and continued to keep this capacity even after three and a half years of constant percolation. The bioavailable fraction of the low amount of zinc remaining in the percolate was only about 34% of that in the fresh runoff water (Bertling et al., 2002c). The potential of the zinc, primarily retained in the soil column, to become mobilised on treatment with artificial rain was also investigated. It was found that about 13% of the zinc in the top 1-cm layer was remobilised, but only 0.5% of the zinc residing in the middle and bottom layers of the core. The more immobile zinc apparently formed part of the zinc originally existing in the soil, since even after 3.5 years of continuous rainfall, the runoff zinc was not found in layers deeper than 3 cm from the surface. This finding led to the conclusion that a breakthrough of the zinc retention capacity of the investigated soil would not occur for at least 140 years per kg of soil (Bertling et al., 2002c). Thus, if this soil is representative for urban and road-side soils, that are regularly exposed to runoff from zinc-containing material surfaces, it is suggested that the predominant part of the released zinc is retained in soils in the close surroundings of the buildings and other structures. In central urban areas with hard-made surfaces, where the runoff is almost immediately collected in stormwater sewers, the possibility of retaining the released metal is, of course, thwarted and dissolved zinc species may - to a larger extent -be transported to surface water recepients before adsorption and precipitation processes bring about a fixation of the mobile species.